On the final day, participating children showcased all that they had learned as they took part in seven exciting games in front of their parents. After the games, Ms. Lolwa Al-Marri, Head of Events at Aspire Zone Foundation congratulated the children on their progress and awarded them certificates of participation. The “Discover Tennis with Aspire” training programme provided an opportunity for the 30 young amateur tennis players to develop their potential and train under the close supervision of three certified tennis experts. Participating children were divided into two age groups – ages six to seven, and ages eight to nine. This enabled participants to play alongside peers with the right level of experience and aptitude. The training programme is the latest example of Aspire Zone Foundation’s continued efforts to promote physical activity in Qatar and to provide members of the community with the opportunity to practice their favourite sports and take part in a range of sporting events. 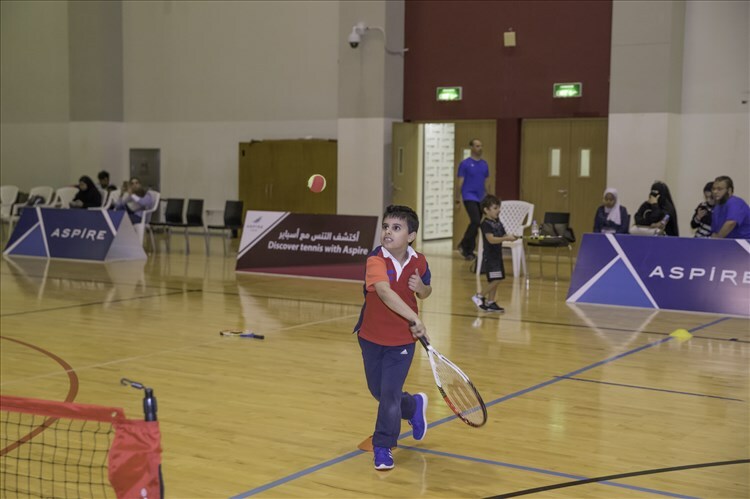 By providing community members with access to state-of-the-art venues and facilities, all family members are encouraged to participate in various sports activities offered by Aspire Zone Foundation. It is through programmemes and activities such as these that Aspire Zone has become the preferred sports destination in Qatar. The “Discover Tennis with Aspire” training programme successfully drew to a close on Friday. Organised by Aspire Zone Foundation, the programme was attended by 30 youngsters between the ages of six and nine. The programme ran from October 02nd to November 25th and took place on the Outdoor Tennis Courts in Aspire Zone.